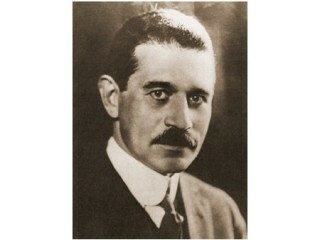 Morris Hillquit, Russian-born American lawyer and author, figured prominently in the organization of the Socialist Party of America. Morris Hillquit, born Moses Hilkowitz in Riga on Aug. 1, 1869, received his early education abroad. Soon after emigrating to New York City in 1886, he began a lifelong involvement in left-wing political activities, participating in the establishment of the United Hebrew Trades, a union for impoverished Jewish garment workers formed in 1888. About the same time, he worked as a clerk for the Socialist Labor party and soon began writing for the Arbeiter Zeitung, a Yiddish-language newspaper. In 1891 he entered New York University Law School, receiving a degree in 1893. From 1893 to 1899 he mainly devoted himself to building a successful legal practice. In 1899 Hillquit emerged as an important Socialist leader. He and others had become restive under Daniel De Leon's heavy-handed leadership of the Socialist Labor party, and the dissidents—known as the "Kangaroo" faction—bolted the party. In 1900 Hillquit and his allies supported the presidential candidate of the Social Democratic party, Eugene V. Debs. The next year, with Hillquit as a central figure in the unity move, the Kangaroo faction and the Debs party joined to form the Socialist Party of America. Hillquit served the party as promoter, platform writer, legal adviser, author, and candidate. He wrote numerous articles and books on the party's behalf. On five occasions—in 1906, 1908, 1916, 1918, and 1920—he ran for Congress in East Side New York districts. Twice he ran for mayor of New York City. An evolutionary socialist, he argued that the party would discredit itself if it promised an instant socialist utopia. He nevertheless repeatedly supported the leadership of Debs, though he was closer to the party's radical wing. Hillquit was conspicuously hostile to American involvement in World War I. In 1915 the Socialist party adopted a platform (largely written by Hillquit) urging Americans to withhold economic and diplomatic support from all the belligerents. When the United States entered the war in 1917, another Hillquit platform condemning the war was approved by the party. When, in 1917, Hillquit ran for mayor, it was in the face of great hostility to the Socialists' peace platform; still, he received more than 20 percent of the vote. After World War I Hillquit's poor health and the demoralized condition of the Socialist party limited his political effectiveness, although in 1932 he again entered the New York City mayoralty race and won nearly a quarter-million votes. He died on Dec. 31, 1933.